"Up in the Bernese Alps sits an abandoned tank-firing platform - this is where the Swiss Star Party takes place. The views of of the surrounding mountains are enough to make the word 'scenic' seem like an understatement. The nights here are wonderfully dark, so seeing naked-eye stars down to below mag. +6.5 is easy. There are no daytime events, but you'll spend most of your spare time taking pictures of the scenery." 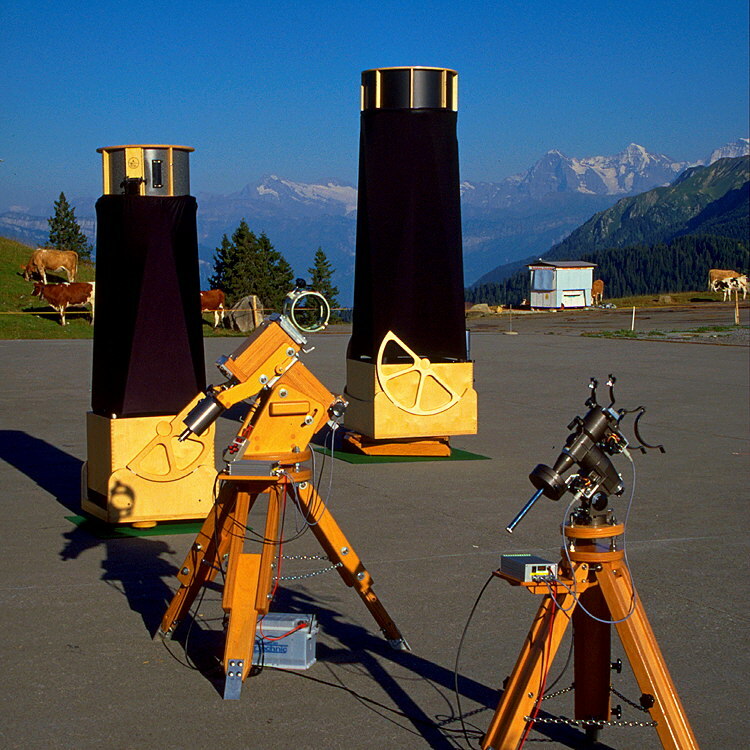 Detailinfos zur Swiss Star Party sind hier zu finden und ein Artikel zur 20. Swiss Star Party vom August 2008 hier.